On September 8, 2006, the Directors and Staff of TISCO Foundation, have made a follow-up on progress of education fund granted to needy students at Anubarn Lamnarai, Baanmaisamakhi, and Nikom Lamnarai Schools, Lopburi, and visited some students’ houses. Khun Vannee Uboldejpracharak, gave daily knowledge posters to those schools. 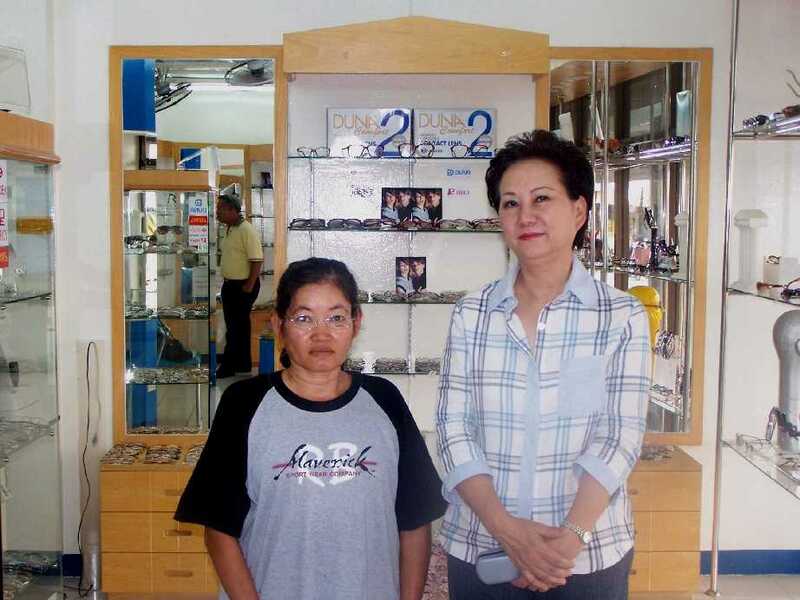 K. Pattira Wattanawarangkul, the Manager of TISCO Foundation, presented a pair of reading eyeglasses to Miss Boonserm Boonnam who also received a sewing machine from Khun Vannee the same day. 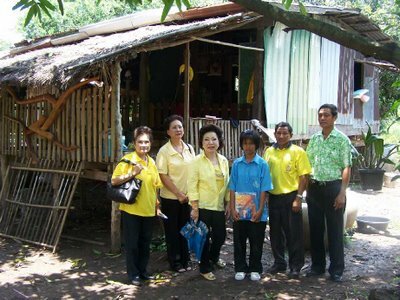 Khun Vannee Uboldejpracharak, Director and Secretary of TISCO Foundation, presented a sewing machine to Miss Boonserm Boonnam, Amphur Intaburi, Singhburi, on September 1, 2006. 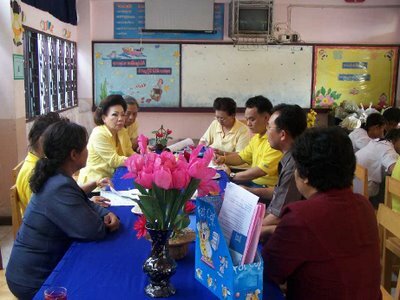 K. Pattira Wattanawarangkul, Manager of TISCO Foundation visited Phranangklao Hospital, Nonthaburi, and met Khun Sompong Milintanont, Head of Social Workers at Phranangklao Hopital, about our medical fund to needy patients. 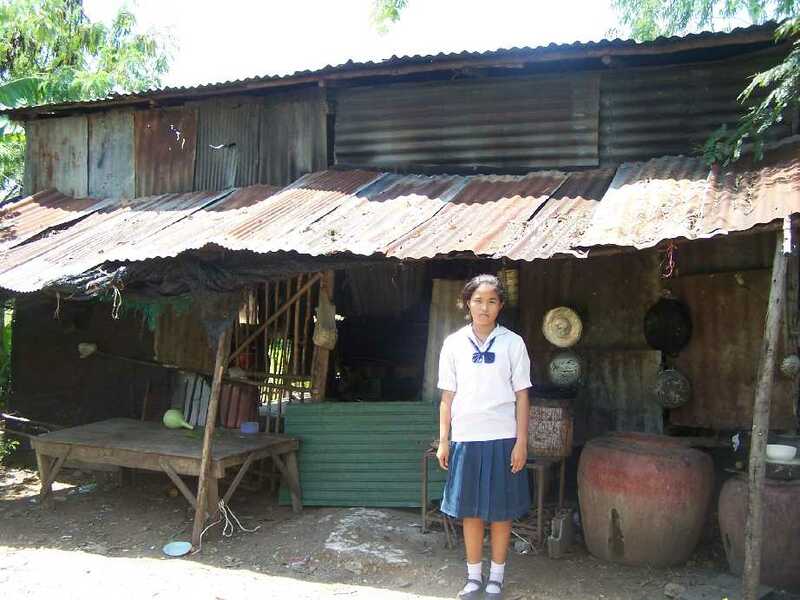 She also gave the application forms for medical, start-up and education funds to her for distribution, on August 30, 2006.